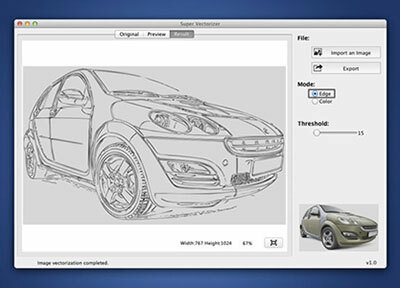 An all-in-one Photo Editor for Mac with a huge range of high-end filters: lighting, blurs, distortions, tilt-shift, shadows, glows, providing professional high-quality image processing tools to edit the image, enhance and touch up photos; Choose from 100+ built-in painting and drawing brushes, vector illustration tools to bring your ideas and creative designs to life. With faster speed, more precise selection tools, a variety of dazzling effects, and much more, from retouching to restoring to creative composites, the only limit is your imagination. How to download YouTube videos Mac ? 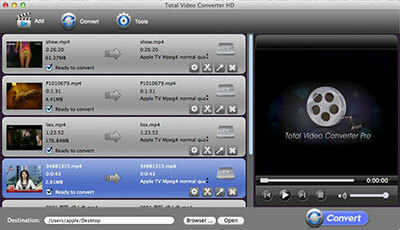 Total Video Downloader for Mac is an extremely simple YouTube Video Downloader Mac with ultra-fast download speed! With this professional Video Downloader Mac OS X, you are able to download videos of different resolution (SD & HD) and format (.mp4, .3gp, .mov...) from almost all online video sites. 4X faster download YouTube videos including YouTube 4K videos. 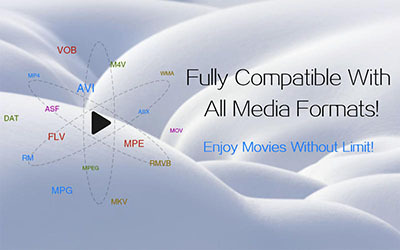 Total Video Player (Windows & Mac) is a powerful and excellent media player supporting 3gp, Mp4, H264, Mov, Flv and all other popular video and audio formats (Mp3, Wma, Ogg, Mpeg-1, Mpeg-2, etc.) as well as DVD, CD Audio and Swf Flash Files. 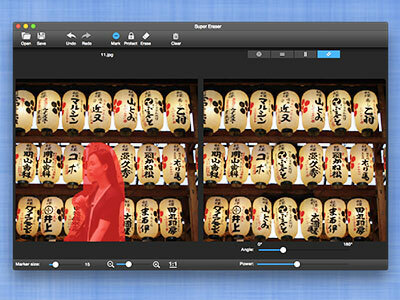 Super PhotoCut interactive cutout tool separates a detailed foreground object from photos and remove image background for Mac. 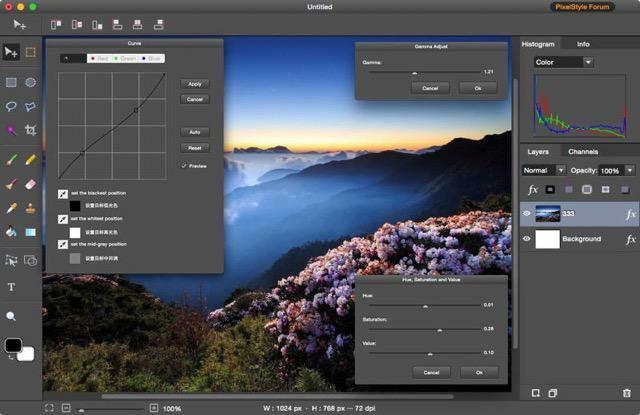 Super PhotoCut speeds up your design process, enhance your design time and improves the quality of your photos! 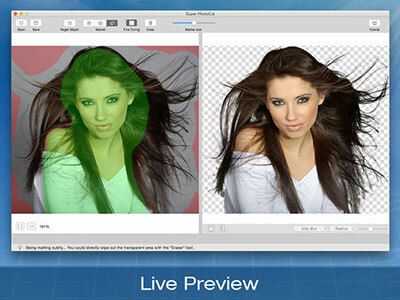 It will save you hours that you usually spent on cutting out an object using PhotoShop. 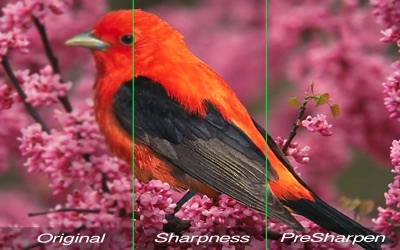 Super Denoising is a powerful, professional image noise reduction software that detects and removes noise from images, perfect for handling grainy and underexposed digital images. 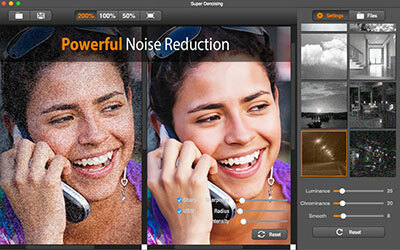 Super Denoising uses advanced smart denoising technology to quickly and effectively remove noise and improve image quality without disrupting crisp outlines and image colors for clearer, more natural images.